And we are back to baby layouts again. I just can’t help myself. 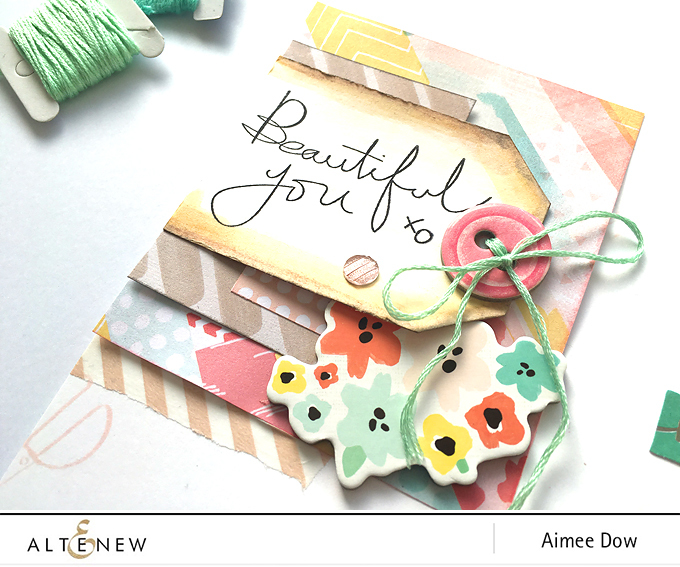 So for today’s layout I decided to focus on the Beautiful You Stamp Set. I wanted to use the craft themed stamps to make a layout about the best thing I ever ‘made’. To start of with I took a piece of Solar White Cardstock and used the Scissor stamp to stamp a pattern background using the Blush Ink. 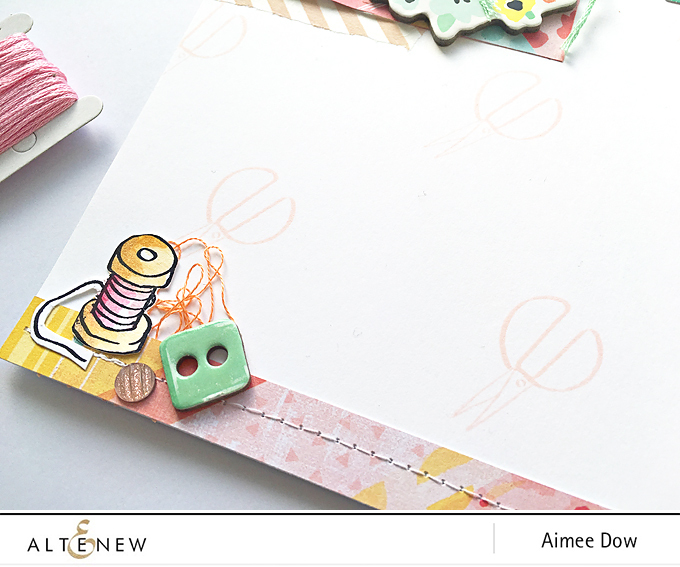 Then on another piece of Cardstock, I stamped out my elements (Title, Bobbin and Clothes Tag). I traced a shipping tag over the top of my title so I would have a guide where to cut and watercolor. Then out came the paint. 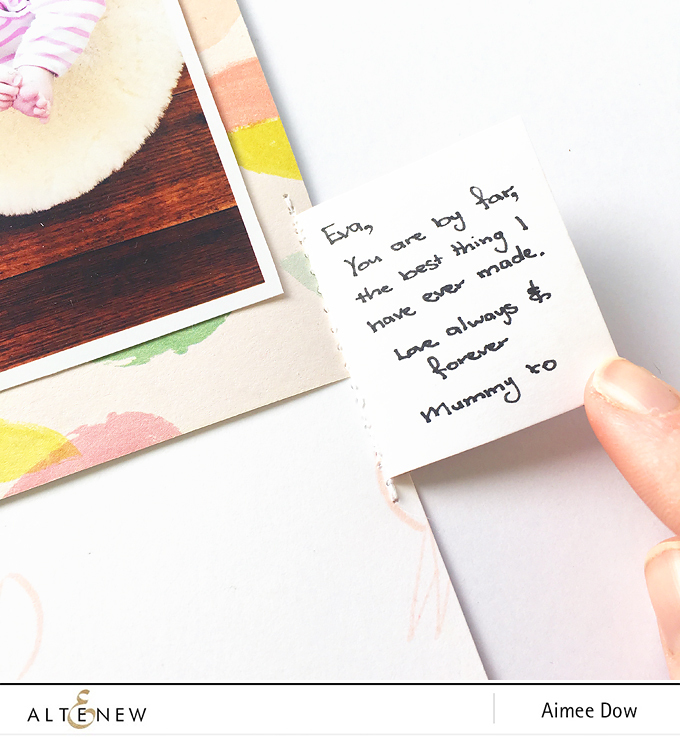 Once painted and dried, I fussy cut them all out and began to create my clusters – starting with the one to go under my title tag. I used the bobbin to create a cluster at the bottom of the page. Then I added the clothes tag to the photo cluster. I sewed down the tag along the stitch line. I like that it adds dimension, but best of all it’s a great place for hidden journaling. I couldn’t very well do a crafty layout without running it though the sewing machine a few times and that pretty much wraps it up for this month. I’ll see you all next month. 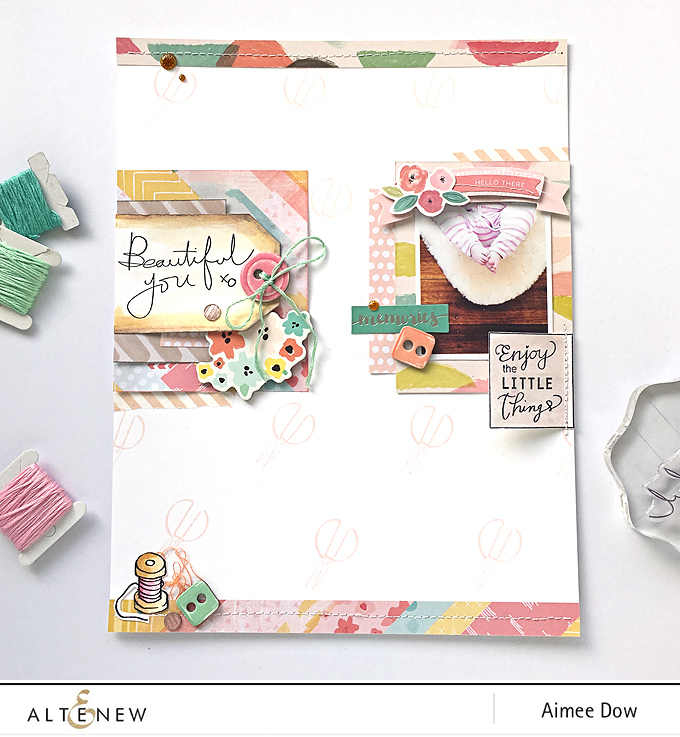 Such a pretty and fun layout! This is stunning, such pretty details and a fab layout. Thanks so much for sharing!